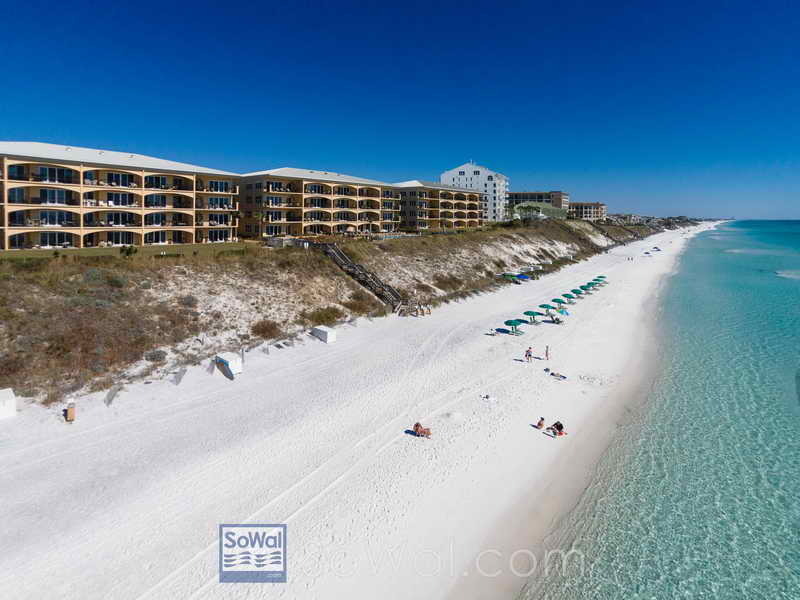 Scenic Highway 30a is located at the Beaches of South Walton. This 28.5 mile Road winds along the sugary white sand beaches and beautiful Emerald colored Gulf of Mexico. While driving you’ll pass through many small communities and see a few of the many Coastal Dune lakes that are native to this area. 30a beachfront condos are some of the most sought after because of their low density and beautiful beaches. The Gulf front condos along 30a are all within five stories tall due to height regulations for the exception of One Seagrove Place and Seacrest Condo. There are not as many units available because of the lack of high rise condos. With not as much supply the demand is higher than surrounding areas like Panama City Beach and Destin. Condo prices are higher along the Beaches of South Walton then its neighboring cities because of this reason. If what you’re looking for is an area with less population and more natural surroundings then this is it. The hardest thing to do is now pick one the many communities in the area that you like best. Below you will find the most popular condos along the Emerald Coast along award-winning beaches of 30a. Santa Rosa Beach and 30A beachfront condos are a rarity. As you can see in the picture you will not find the giant high-rise condominiums along the beaches here. The buildings on and off the beach and around 30a and The Beaches of South Walton have a building height restriction of 50 feet. There are only a few exceptions that were grandfathered in before this law was passed many years ago. 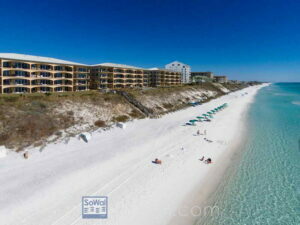 With not as many 30a beachfront condo units available the prices are higher with limited supply. With lower density condos also brings less crowded beaches which are more desirable. Even in high season you can find in uncrowded secluded beach to yourself along the miles of 30a beaches. This area has been distinguished as one of the top beaches in the world many times. Until you come and visit to see for yourself you will never be able to fully appreciate it. Avalon Dunes Miramar Beach condo on first floor.